Password Checkup extension for Google Chrome was designed in a joint venture of Google and the cryptography experts at Stanford University to ensure that the personal data like usernames/passwords are safe. Once you install the Password Checkup Chrome extension from Chrome Store and enable it, Google will read your usernames and passwords everytime you login to a website. If it finds that the pair was compromised and available in Google's unsafe credential database, it will show a warning to the user. The company says that the information will not be revealed to Google and will be completely secure by using multiple rounds of hashing, k-anonymity, private information retrieval and a technique called blinding. Regarding the privacy, Google stated "Your usernames and passwords are incredibly sensitive. We designed Password Checkup with privacy-preserving technologies to never reveal this personal information to Google. We also designed Password Checkup to prevent an attacker from abusing Password Checkup to reveal unsafe usernames and passwords." and all the statistics reported by the extension will be annonymous. 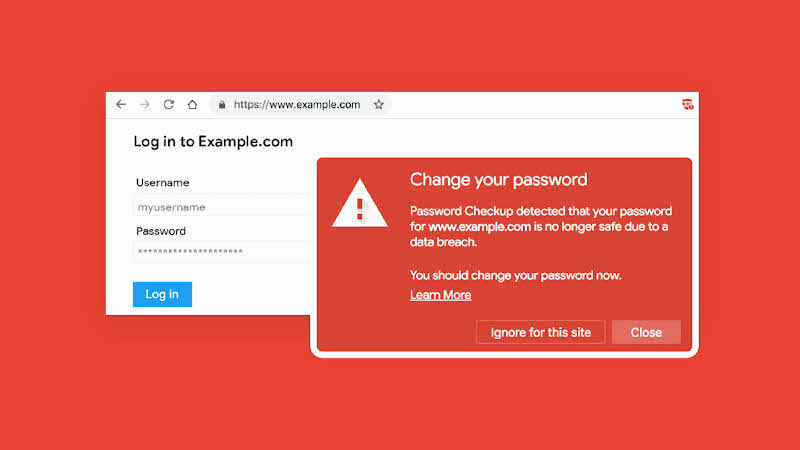 Download Password Checkup Chrome extension from the official Chrome Store. If you have come this far, it means that you liked what you are reading (Google's new Password Checkup Chrome extension to alert about hacked password).